ATM :: How many credit cards you should have? Many individuals do carry stack of credit cards, which they may never use or may overuse all of them leading to repayment issues. It is better to analyse one’s needs and decide the right number. The other day, while a friend was paying the bill at the mall counter, he said, “I hardly carry cash anymore you know. Just some loose change maybe. It’s all on my cards.” While I looked at his fat wallet which was stashed with so many cards, I wondered. How many credit cards are too many or too less? Many people and specially the youth have already declared that this is the age of plastic money. Credit card companies took it upon themselves to ensure that it indeed is! Every day we are bombarded with advertisements and lucrative offers. Credit cards are just a call away. The documentation and application process is made simple and hassle-free to attract more customers. Effectively companies are flocking to lend you money! So what do you do? How does your decision affect your CIBIL score? Too many cards, too many outlets for money! If you have hoarded many credit cards, it also means you have multiple options for swiping. To encourage customers to gather reward points, card companies are constantly coming up with offers. Now, it’s difficult to ignore these deals. Many a time, the deal seems so enticing that we end up swiping the card for it. Which basically means, that you ended up making a purchase because you had a card with an offer on it! That is definitely less than a wise way of spending money. Nobody understands your requirements better than you do! Over the weekend spread out all your cards on the table and sit with a cup of green tea. With a calm mind, evaluate the need for having each card independently. There may be cards which you purchased because somebody asked you to or a card bought for the reward point’s scheme on it, etc. Segregate those from the cards which you use often. Now calculate the cumulative credit limit you have. Cross check that with your expenses. Ensure you add up some amount for emergency expenses or large expenses which you foresee in the near future. That would basically be all the credit limit you need on the card. Add on a buffer for feeling safer and that’s about it. It’s time to make smart choices. Check up on annual fees on the credit card, interest rates applicable, reward point schemes, etc against the credit limit offered. Select the ones which best suits your needs. You already have an idea of the total credit limit you need. That’s it. You will arrive at your own magical number. Discard rest of the cards and have a lighter wallet and a clearer mind. How does this impact my CIBIL score? CIBIL score reflects your credit history and financial discipline. That means, first of all you need to have a credit history. That’s where credit cards can help you. Availing a credit card gives you a credit history. This can help you while applying for a loan. Next up is the financial discipline bit which basically means tracking your payments due. If you have been making your payments on time and not having a defaults history then your CIBIL score would be shining. Another factor which is considered while preparing the CIBIL report is the utilization. Only having a credit limit is not enough. You should be utilizing it optimally as well. Exceeding 30% credit utilization ratio during a billing cycle could do damage. Play your cards by the rules! There is no better way to influence your CIBIL score than imbibing financial discipline. Make sure you pay off your credit card due amount every month. This will not only shield you from high interest rates applicable on credit card money but also impact the CIBIL scores positively. Obviously, the more the number of credit cards, the more discipline you require. Tracking and paying off on time is important. Secondly, keeping a check on the credit utilization ratio with too many cards in the hand is difficult. With fewer cards and planned spending this tracking can be a cake walk. And of course, one that will ensure sweet CIBIL scores. So what’s the magical number? That is up to each one of us to figure out after considering all the factors mentioned above. If we had to give a number, it should be something between three to five. Two card which you can use regularly and an additional one for emergencies will do just fine. Also, managing 3 cards is relatively simple. All you have to do is establish the 30% spending limit and use the cards accordingly. Needless to say while making timely payments. Two additional cards can be availed if you travel for work or have a particular expense on which you spend frequently like flights, fuel etc. These cards can be specifically used for the determined purpose. Now that you are equipped with all the insights on credit cards, it’s time to say goodbye to the stack and hello to fewer cards and effectively utilization. Use plastic money to make your life easier and your bank balance heavier. Planning and discipline is the key. If you are new to using credit cards or have been using one without knowing what a bunch of things mean on the credit card statement, let’s make things a little simpler for you. Let’s de-jargonise some credit card terms for you so that you can handle your credit responsibly and in turn help you keep up a good Cibil score.Many financial terms on your statement stand for basic things that are easy to understand. Here’s a closer look. The credit limit is the maximum amount of money that you can swipe or borrow on your credit card. This is a prestipulated amount that is fixed by the card issuer. How much of the credit limit you utilise, also has a large bearing on your Cibil score. Ideally the utilisation rate on your card should not exceed 30 per cent of the total limit that has been allotted to you. If you display good credit behaviour your credit limit may be enhanced by the lender, but do not use it as an excuse to become reckless on your spend. Reckless spending may lead you to penalties and as has been noted in some cases, even account suspension by the bank. The cash limit on your credit card should not be confused with the credit limit. The cash limit is the maximum amount of cash that you can withdraw from the ATM using your credit card. Issuers of credit cards often allow cardholders to obtain a maximum amount of cash with their cards where the cash limit is usually a per cent of the overall credit limit. This feature makes credit cards similar to bank debit cards. However, the striking difference between debit and credit cards cash withdrawal is that in the case of debit cards the cash belongs to you and is at your disposal whereas in case of credit cards, a very high rate of interest is applicable from the day the cash is withdrawn to the day it is repaid.Therefore, cash withdrawal through credit cards should be made only in emergency situations. The annual percentage rate (APR) is the interest rate charged on outstanding credit card balances outside the due date. APR is expressed in per cent per annum. A common misunderstanding about credit cards is that interest is charged on everything you swipe or borrow through your card. However, the truth is you will be charged for keeping an outstanding balance on your account over the interest-free grace period, which is usually 30-45 days from the payment due date (differs from bank to bank). So effectively if you pay the entire outstanding amount within the billing cycle, you will never have to pay interest on the money you use on credit. The billing cycle is the time between the credit card bill statements. The billing cycle and credit card statement dates are confirmed to you at the time of the issue of your card by the card issuer. The due date remains the same each month. Since you already know the due date, it gives you the headroom to plan your credit in a smarter way and avoid making late payments. This is usually a small per cent (usually 2-5 per cent) of your total amount outstanding. This is the minimum amount a cardholder should pay within the pay-by date to keep the account from going into default. The due date is the date by which you must make at least pay the ‘minimum amount due’ in the case where you are not able to pay your bill in full. Paying outside the due date will cost you late fee charges as well as get reported on your Cibil report as a negative mark. Some card issuers allow you to set your convenient date for card payment and others set a standard due date. For payments whose due dates fall on weekends or holidays, the due date would be the next business day. Sometimes during online transactions, purchases may not go through for various reasons – including the transaction being non-compliant with the merchant account rules or a dispute by cardholders. In such cases, the amount charged previously on the credit card is credited back to the card holder through a reverse (credit) entry. This is called a charge-back. A late payment fee is charged when you miss paying the minimum amount due by the payment due date. Late payments may affect your Cibil score negatively even if your entire outstanding balance is paid in full at a later date. It is the process of moving outstanding credit card balance from one card issuer to another, usually from a high APR issuer to a low APR issuer in order to reduce the interest charges for the cardholder. However, balance transfer also involves payment of fees to the low APR issuer. It refers to rewards program on your card that return to you (by crediting your card account) a percentage of the total amount spent on your credit card over a specific period of time. This feature can be beneficial only if you use your credit card regularly and pay the entire outstanding amount on your bills every month. It is a 3 digit number printed on the back of the card. It stands for “card verification value” code and helps verify the legitimacy of a credit card. The CVV number is essential while making payments online. Since this is sensitive information you must never reveal this number to anyone including your Financial Planner to the customer care executive at the bank. These cards use computer chips to store and process information instead of, or in addition to a magnetic stripe. A personal identification number (PIN) is required at the point of sale for the card payment to go through.Similar to CVV, this is also classified information that you should not be share with anyone. Once you have these jargons demystified, it will be easier for you to understand how your credit card works and thus plan to make repayments accordingly. ATM :: Why Credit Card Wins Over Cash? Many Indians just hate credit cards. Just because a few people they know used it in all the wrong ways and got into trouble, doesn’t mean that any person who uses a credit card is irresponsible. It is important to understand that the credit card straight away wins over cash in many aspects. This article illustrates how. Ease in travelling: Imagine you are travelling abroad. You want to buy an expensive gift for your wife, let’s say a diamond ring, which could run into some $1000, which is around Rs 60,000. Would you carry that much cash in a foreign country? If you had planned to withdraw cash from your bank account, think again. Does your debit card allow you to withdraw that much cash? No. 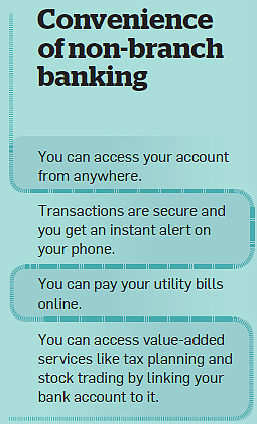 Every bank sets limit over debit card swipes and withdrawal limits in a single day. A credit card is a clear winner in this case. After you lose it? What will you do after you lose money or it is stolen? Do you think it can be replaced? Your credit card can be replaced after it is lost or stolen. Yes, it comes at a nominal cost, but still there is scope to replace it, but when it comes to cash? No way! Build or repair your credit score: No, it is not like what you thought. Cash transactions and debit card transactions are not reported to Credit Information Bureau of India Limit (CIBIL) and other credit bureaus. So, you cannot build your CIBIL credit score based on debit card usage. A credit card is any day a convenient way to build your CIBIL score or repair your damaged score. Credit card usage is a manifestation of your credit behavior and also your credit card repayment pattern shows you financial disciplining. Rewards: If used wisely, using a credit card can prove to be rewarding. Credit card companies or banks issuing these cards have tie-ups with top retailers, e-commerce websites, e-ticketing websites, malls, restaurants, cinema houses, etc. The more you spend on your credit cards, the more points you can collect, that can be later redeemed from a wide range of offerings. However, just to collect points one must not spend an amount one can’t repay to the lender. Can you think of any such rewards or freebies by spending cash? Anything else? 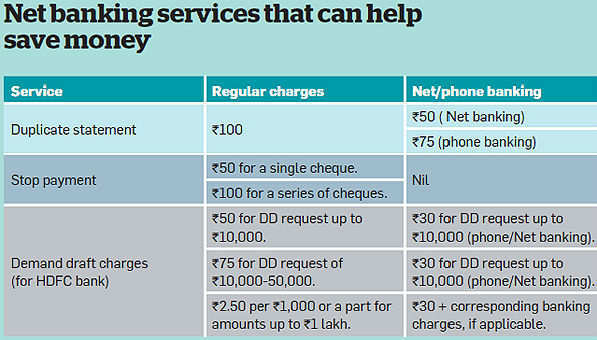 These days credit limit on credit cards easily touch Rs 50,000 to 1,00,000. That is how much you can buy from your credit card. Imagine carrying around that much cash? Moreover, sometime when you are extremely cash strapped you can just pay the minimum amount due on your credit card and keep sailing. Please make sure that you chose this option as one off instance and not a regular practice. Hence, it is important to understand that the only advantage, cash offers is controlling spends. If you are one of those who do not overspend, we advise you to get yourself a credit card. It will open up a whole new world of benefits.